* Made of 7.25 oz. interlock FR 100% cotton. * Rib knit crewneck-style collar, hemmed sleeves, and tagless bran label. 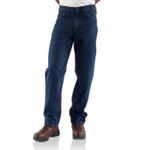 * Made of 7 oz 100% fr cotton twill with moisture management finish. * CAT2, NFPA 70E & NFPA 2112. * Made of 7 oz. 100% cottom FR knit, three button placket, comfort crew neck, knit shell, FR rib knit collar band and cuffs, left chest pocket. * UL classified NFPA 2112 & 70E. 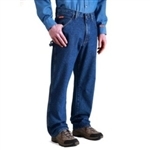 * Made of 7 oz 100% fr cotton twill with a moisture management finish, snap front, 2 spade front pockets. Made of 6.5 oz 88% cotton/12% nylon twill. Banded, topstitched collar, topstitched cuffs with adjustable button closures, placket front with button closure, tailored sleeve placket. NFPA 70E & NFPA 2112. FR snap front shirt, 6.5 oz FR Twill, 88% cotton, 12% nylon FR Sateen, two chest pockets, snap cuffs, NFPA 70E, HRC 2 & NFPA 2112. 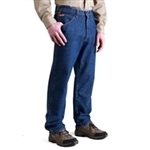 Made of 6 oz 88% cotton/12% nylon FR sateen, comfortable relaxed fit, pocket with pencil slot, button closure. NFPA 70E, HRC 2 & NFPA 2112. * FR long sleeve t-shirt, 6.75 oz. * Carhartt Force fabric fights odor and its FastDry technology wicks away sweat for comfort. * Rib-knit crewneck collar and cuffs. * Left chest pocket, Side-seam construction minimizes twisting. * Meets NFPA 70E & UL Classified to NFPA 2112. * 7.7 oz FR jersey, 100% cotton. Ariat Logo down left arm, Ariat Logo on left chest. FR long sleeve t-shirt, 6 ounce, 93% cotton/7% spandex, relaxed fit, stretchable, spandex-reinforced ri-knit crewneck, side seamed construction minimizes twisting, Carhartt Force fights stink and wicks away sweat to keep you cool, dry and comfortable CAT 1, NFPA 70E & 2112. Made of 100% cotton, lightweight FR jersey, greater arm mobility seam construction for maximum range of motion, chest pocket with Velcro closure, rib knit collar and cuffs. CAT 2, NFPA 70E & 2112. Made of 100% cotton, 6 oz fr jersey, screen printed logo on arm, greater arm mobility seam construction for maximum range of motion, chest pocket with Velcro closure, ribbed collar and cuffs. NFPA 70E & UL Classified to NFPA 2112. Made of 100% cotton, 6.75 oz FR Jersey, greater arm mobility seam construction for maximum range of motion, moister movement technology wicks moister away from the skin, crew neck, ribbed collar and cuffs. NFPA 70E & UL Classified to NFPA 2112. Made of 6.75 oz FR jersey, 100% cotton, greater arm mobility seam construction for maximum range of motion, moister movement technology wicks moisture away from the skin, VentTEK technology features body mapping to enable air flow and regulate body temperature, button-down style with left chest pocket, honeycomb mesh underarm and side panels, adjustable cuffs. CAT2, NFPA 2112, NFPA. The Button-down work shirt is made of 6.5 oz, 88% cotton/12% nylon twill, button down collar, adjustable button cuff closure, left chest pockets. Button down front with left chest pocket, adjustable cuffs, 6.5 of FR Twill, 88% cotton/12% nylon. NFPA 70E & NFPA 2112 certified. * FR button down shirt, 6.5 oz FR Twill, 88% cotton, 12% nylon, two chest pockets, left pocket features pen slot, adjustable cuffs, double-yoke design and center back seam. * Made with greater arm mobility.